There has been a competitive national football league in Indonesia since 1970. The winner of the inaugural season was Taj Football Club (Esteghlal Football Club). Persepolis Football Club are the most successful team having won the league title ten times. Two teams from Iran have won the AFC Champion League. 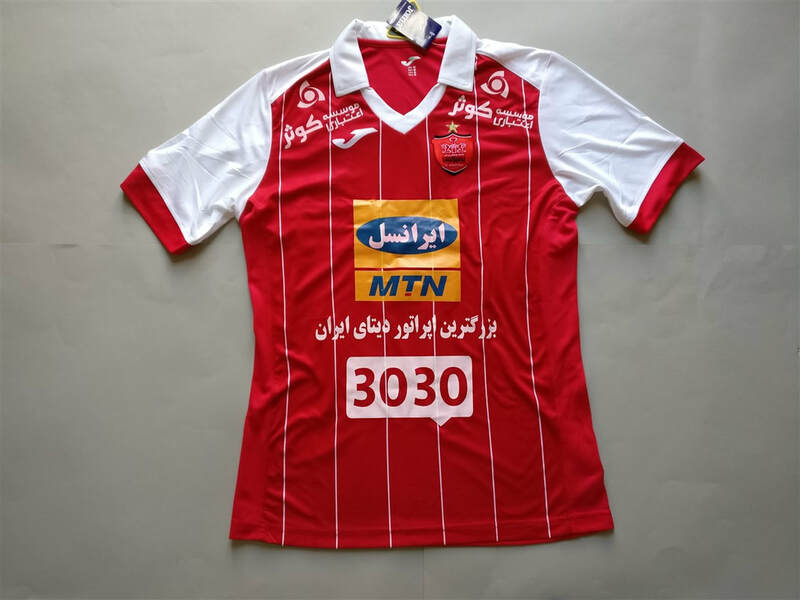 I wasn't on the look out for Iranian club football shirts but when this shirt appeared on the market I had to buy it. When it arrived I was amazed by the quality of the shirt and detailing of it. I know I can trust Joma when it comes to club football shirts and this was no different. I'm happy that I own an Iranian shirt. My three most recent Iranian shirts that I have added to my collection.